Starting 20th March, Hotstar VIP will give audiences access to exclusive new shows, favourite serials before TV and live sports at introductory price of INR 365 a year! 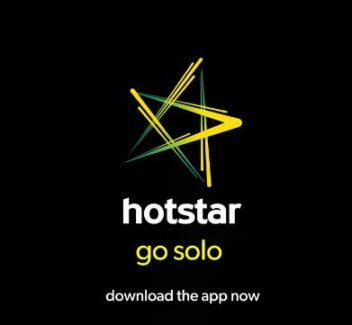 Mumbai, 19th March 2019: Hotstar, India’s leading video streaming platform, launches ‘Hotstar VIP’ – a subscription that offers audiences the best of content at just INR 365 per year. The new subscription plan gives audiences the choice to watch exclusive new content under the Hotstar Specials label, their favourite Star network serials before television at 6 a.m., and the best of live sporting action, including VIVO IPL, ICC Cricket World Cup, Premier League and much more. A key feature of the Hotstar VIP service is ‘Hotstar Specials’ – a label that will bring bold & authentic stories made by the biggest storytellers of India to crores of consumers across India. The launch of Hotstar VIP coincides with the release of the first Hotstar Special ‘ Roar of the Lion’, a story on Chennai Super Kings amazing comeback under the leadership of M.S.Dhoni. This show will be followed by Criminal Justice, City of Dreams, Hostages and many more shows under the Hotstar Specials label. Existing subscribers of Hotstar All Annual Sports plan will automatically be upgraded to Hotstar VIP, on a complimentary basis with no additional charge, and can also enjoy access to Hotstar Specials and Star serials before TV. Hotstar Premium subscribers can avail of the benefits under Hotstar VIP along with the latest American shows, blockbuster Hollywood movies and award-winning content from International studios.